It’s a packed weekend with the last of the Worlds 2017 semifinals and a Dota 2 Major in Germany leading the way. Those events are followed up closely by the Canada Cup fighting game event, the Heroes of the Storm HGC Finals, and Epicenter 2017. 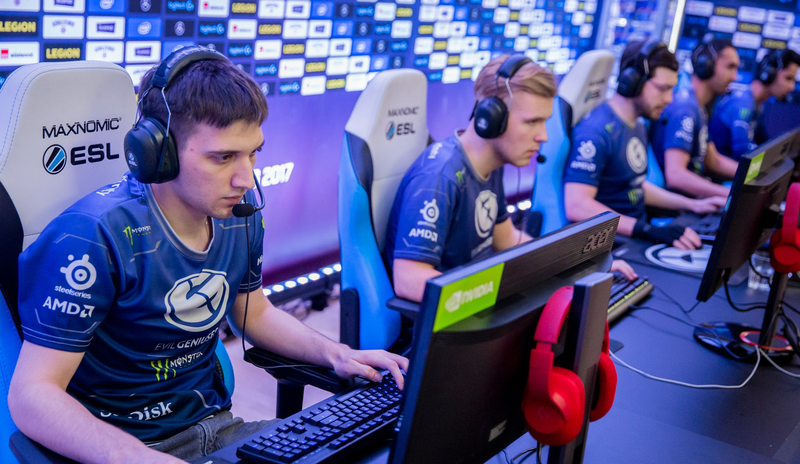 ESL One Hamburg will pit many of the game’s best teams against one another in the first premier tournament since Valve re-structured things on the pro Dota circuit last summer. Group play to finishes up this afternoon when Liquid face KG with the semifinals set to begin on Sunday at 10:00AM. The grand finals for the $1,000,000 event will kick off later that day at 2:00PM. Team WE face Samsung Galaxy Sunday morning at 3:30AM with the latter threatening to make the grand finals a repeat of last year after SKT skated past RNG earlier today. The HGC Finals are finally hear with only eight teams left to compete in the group stage. Roll20 take on RED Canids at 2:00PM today followed by Team Dignitas vs. Tempest while on Sunday SPT take on Soul Torturers at 2:00PM followed by Ballistix vs. Team Expert, with everything streaming live in the feed below. Gfinity Elite Series Season 2 continues today with Epsilon Esports vs. REason Gaming around noon followed by exceL eSports vs. Prophecy at 2:00PM. Those matches will be streaming here. Then there’s the Epicenter 2017 grand finals featuring SK Gaming vs the winners of G2 Esports and Virtus Pro set to take place at 7:30AM on Sunday. You can watch the remainder of the tournament here. The Canada Cup will see some of the best SFV players face off including Punk, NuckleDu and others with pools playing out across today and Sunday. The schedule is very loose, so just keep watching around the clock if you’re concerned about missing top 8. Canada Cup is also where this weekend’s Smash action is with both Melee and Smash 4 tournaments. Singles pools will play out across today starting at 12:00PM. Then on Sunday top 8 starts with Smash 4 at 12:00PM followed by Melee at 4:00PM. The event will of course be hosting a plethora of other fighting games as well, including Tekken 7 but also Marvel vs. Capcom, Guilty Gear, BlazeBlue, King of Fighters, and Injustice 2. You can find more information about the brackets and streams for each here. Ahead of Blizzcon, the group stage of the global finals for StarCraft II are also underway. The matches will run from noon today and Sunday through 4:00PM. You can watch all of them here. Finally the RLCS is holding a promotion tournament for teams looking to compete in the next season. You can watch those competitions, today for North America and Sunday for Europe, here.